Individual Computers have announced some new products, amongst them is a flicker fixer cartridge for the c64! 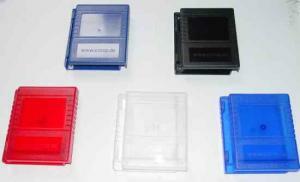 Our cartridge cases for Retro Replay, MMC64 and other standard C64 cartridges enjoy great popularity, therefore we have made a new production run with a few improvements. The cases that we delivered previously were made out of the fairly soft plastic polystyrene.